IRS Head Says So Far, So Good For Obamacare's First Tax Season : The Two-Way Commissioner John Koskinen credits the lack of problems to software geeks who have been getting ready for years. 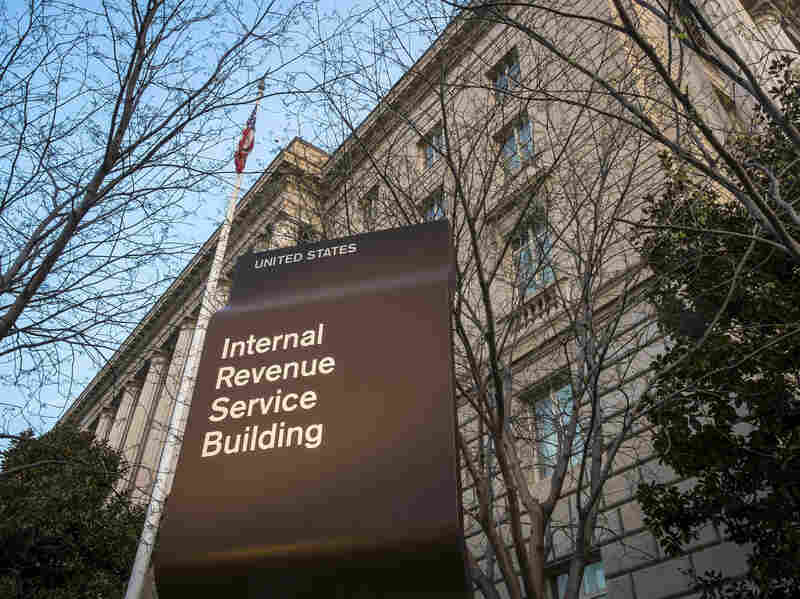 The commissioner of the Internal Revenue Service says everything has gone smoothly as, for the first time, taxpayers have to report their compliance with the Affordable Care Act. Congress passed the Affordable Care Act five years ago, but it didn't impose tax penalties for failure to obtain health insurance until this year. So a big question has hung over this tax-filing season: Would the ACA unleash mass confusion as Americans grappled with new tax rules? IRS Commissioner John Koskinen today said that so far at least, all has gone "swimmingly." And for that, we can thank software geeks, he says. Speaking to the National Press Club, Koskinen said the smooth implementation reflects Americans' overwhelming reliance on tax-filing software, such as TurboTax or H&R Block Tax Software. Years ago, the IRS started working with the companies that produce such software, making sure their developers incorporated ACA changes into this year's tax preparation products. The updated software made health insurance — or lack thereof — just another item to be checked off as a filer clicked through tax-preparation prompts, he said. Taxpayers may or may not like the credits or penalties that resulted, but Koskinen said the calculations themselves have been made without big glitches. Critics of ACA object to having health care credits and penalties administered through the tax system. And given the ACA website's rough rollout in 2013, critics had had doubts about the IRS's ability to handle the changes. This tax season is the first when, to avoid paying a tax penalty for failing to obtain insurance, filers have to check a box on the IRS Form 1040, verifying their health insurance status. Koskinen said some individuals have called the IRS with questions about ACA, and computer hackers and phone scammers have plagued many taxpayers, trying to confuse and trick them about health care penalties and credits. But broadly speaking, "the filing season has gone swimmingly." Still, getting to the point where things are working well has taken up a lot of IRS staff time. Koskinen has been imploring Congress to provide the IRS with more funds for hiring. He says the agency lost more than 13,000 employees between 2010 and 2014, leaving just 87,000 to deal with 150 million individual taxpayers. As a result of short staffing for enforcement, the government will lose at least $2 billion this year, he said. IRS employees "have achieved an amazing degree of success, when you consider that the challenge this filing season was to build into our system the back end of the Affordable Care Act, the front end of the Foreign Account Tax Compliance Act and the tax extenders passed in December," he said. But the staffing problems are worsening because so many IRS employees are aging baby boomers and hiring freezes have blocked new employees. "We expect to lose through attrition another 3,000 people, possibly more, by Oct. 1 of this year," said the 75-year-old commissioner. "Given my own age, I think I can diplomatically say our workforce is maturing at a rapid rate," he added.